Have a question you'd like answered? Let us know! Below you will find answers to the most commonly asked questions. How long is the rental, Whats included, cancellation policy, what surface do we set up on, How many kids can fit in the inflatable, Are the inflatables clean and many many more. 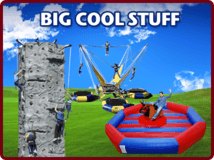 USA Inflatables is the Leading provider of Interactive Events and inflatables to large and small events and festivals in the Greater Minneapolis St Paul area. 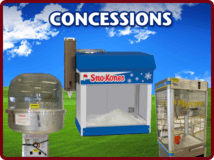 Some of our annual events include large city festivals, school carnivals, church festivals and the Minnesota State Fair. We also perform at several company picnics, and thousands of back yard parties. 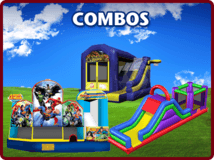 The reason these events come back to USA Inflatables year after year is because they know that USA Inflatables provides the highest quality, safest inflatables, largest selection of innovative party rental equipment, quality on-time deliveries and clean courteous staff members that treat your customers with respect. 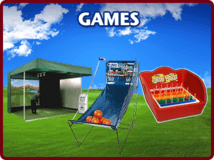 USA Inflatables also provides interactive equipment to several cities and festivals through out-state Minnesota, Iowa and Wisconsin. We offer Free Delivery and Setup of your inflatable rental to the Twin Cities Metro Area. For an additional Fee Delivery is available anywhere your event is throughout Minnesota, Wisconsin, or Iowa. The prices quoted on this site are based on the rental being in the Minneapolis / St. Paul Metro area in our FREE delivery area - Additional mileage fees will be added to rentals outside of the Twin Cities Metro area depending on the amount of your rental and distance to your location mileage fees may be reduced. Free delivery is for up to 100' from our access point to the set up area - additional fees will be charged for deliveries over 100' to set up area, Additional Fees are also charged for Stairs, elevators, downtown Minneapolis or St Paul deliveries where parking is difficult. Delivery fees are also charged for deliveries to the Mall of America, Stadium venues, Hotels, Parks, Steep hills, difficult deliveries, problems with power - multiple doors deliveries and more call if you have a question about your delivery. Do you offer extra discounts on really large events? The Lessee shall be in charge of operating the unit(s) rented from USA Inflatables (Lessor) and is fully responsible for the operation of the unit(s) after receiving it from Lessor, unless the rented item lists an attendant included in it website description. 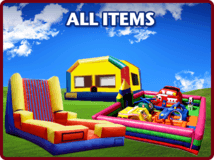 USA Inflatables has operators available for an additional fee that must be arranged with USA Inflatables at the time of making the reservation. Electricity is the responsibility of the lessee unless other arrangements have been made with USA Inflatables by also renting a generator. How long is the rental period for a residential delivery? 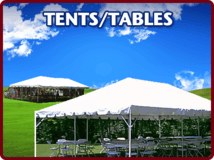 USA Inflatables offers a longest in the industry full calendar day rental- unless noted in the product description. NOTE - The rental is NOT for a 24 hour period like from 2:00pm Friday through 2:00pm Saturday - it is for the calendar day and will be delivered at our convenience on the day before and picked up at our convenience the day after your event. The inflatable must be in a secure environment, For insurance and liability reasons you will want to keep the inflatable deflated overnight (if outside and unattended) You are responsible for the unit and its accessories until we come to pick the unit up. We generally will come to pick up the unit the next day. There is no discounted rate for a shorter reservation like a 2 hour event. - The full day price still applies. How long is the rental period for schools, churchs, corporate, special events or Park deliveries? 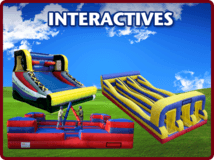 USA Inflatables will work with your group to accommodate your rental times. Your rental can be anywhere from 30 minutes to all day for the one day price - there is no discount for an event only lasting 30 minutes. The larger the delivery and pick up window the better. if your event is from 5:00 - 8:00pm we would like to deliver from Noon - 4:00pm to make sure everything gets set up on time. We need a minimum 90 minute window for delivery and 90 minute window for pick up. 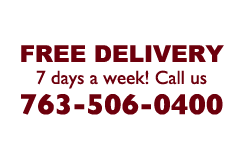 We can deliver as early as 8:30am and pick up as late as 8:30pm as part of our free delivery program. For earlier deliveries and later pick up times call our office and we can arrange special times. For extremely early or late delivery and pick up times to accommodate special requests there will be a convenience fee added to accommodate these requests. when ordering online - under the note section please specify the event times and when people will be there for set up and take down. Once an inflatable is reserved, You can post-pone or re-schedule your rental up to 24 hours prior to your rental and your deposit will be credited towards your next rental. No refunds will be given. Due to scheduling we cannot accept changes to an order within 24 hours of your scheduled delivery. No refunds or credit will be given for cancellations or changes with less than 24 hours notice. 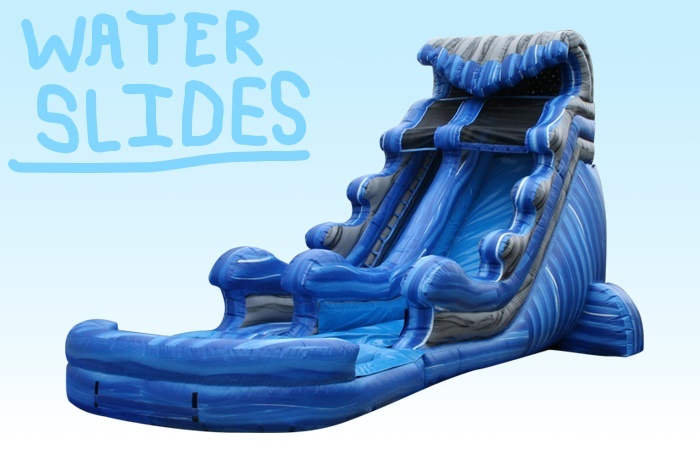 Do you offer an extended rental rate discount for Inflatables? What method of payment does USA Inflatables accept for rentals of its products? Debit Cards, check cards, credit card (Visa, Master Card Discover and American Express), cash, No personal checks, checks from business, schools or churches are accepted. Do you require a deposit to reserve an inflatable? Yes, because inflatables are rented on a first come first reserved basis we require a 50% deposit to reserve all inflatables. 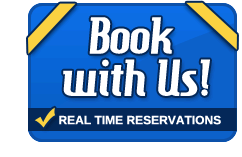 Full payment is required for reservations made less than 5 days prior to your reservation date. This assures you of receiving the item you reserve. up to 72 hours prior to delivery you can change payment options. Cities, Churches, Schools, Businesses and non-profits may make special arrangements for payment. Ask for details. If you paid the deposit by credit card at the time of placing your order we will run the same credit card for the remaining balance Two days prior to delivery. Yes, the contract can be E-Signed as a convenience. Lessor is NOT responsible for injuries occurring to lessee or to any persons using the leased property, and the lessee further agrees to hold USA Inflatables harmless against any injury and claims to property damage. By accepting these terms you indicate agreement with all the provisions in this lease and acknowledge that you will read, review and follow the general rules posted on the rented equipment for safe operation. An electronic Liability release form can be signed online as part of your contract.down times a $75.00 fee will be added. In addition for pick ups. We also offer special late night deliveries or pick ups for an additional fee. 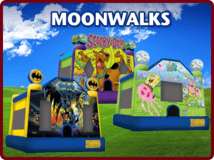 What size area is required to accommodate a USA Inflatables moonwalk? 17x17 foot minimum unobstructed level area is required for our 15 X 15 moonwalks. All inflatables require a different size and height requirement check the dimensions of the product to make sure they will fit where you want it to go. What types of surfaces does USA Inflatables set up its rentals on? We need a level, uniform surface, such as Grass, Concrete, Blacktop or Carpet. No Dirt, Rock, Gravel or Sand setups. For Safety you must order 4 sand bags (or more depending on the inflatable)per inflatable to secure the inflatable on Asphalt, concrete or when staking is not allowed. Sand bags are available for $7.50 each and each inflatable requires a minimum of 4 sand bags and some 10 or more. 115' Maximum from an electrical outlet. Our blowers works on standard household 110V circuits- no special outlets are needed. If you require a generator; we also rent generators for $85.00 one generator will power up to 3 - blowers. *Dogs (animals) must be tied/caged before and during event, *Make sure you have at least 3.5 feet of clearance leading to Setup Location. Turn off automatic sprinklers, Do not water grass the night before, Pick up all animal feces. Remove Center post from double doors. Can I have a USA Inflatable at a park? USA Inflatables will set-up at all parks with permission. Check with the park prior to the event to make sure that inflatables are allowed in the park Most state, county or regional parks need permission prior to us setting up inflatables in them. We need someone at the park at least 90 minutes prior to the event and 90 minutes after the event. a $50.00 park fee will be added to all deliveries to parks. If the park or business wants an additional insured certificate can you provide this? Do you offer a Rental Protection?? For your protection an automatic 4.375% Rental Protection fee is added to every order. This covers the unit from accidental damage while in your possession. This covers items like small seam rips, minor netting damage, staining from grass or asphalt, or scuffs and scrapes from asphalt, flooring and cement. *Rental Protection does not cover missing or stolen units. Rental Protection is required on every reservation. Usually six to eight, but it depends on the size of the children and the type of inflatable they are on. 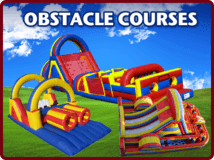 Some units like slides and obstacle courses are 2 people at a time. Yes, very! We clean and sanitize each of our inflatables after every rental or when we set them up. As we clean them, we also do a thorough safety check so that each customer gets their inflatable in pristine, safe condition. Can we set up an inflatable indoors? Yes, as long as the room is large (and especially tall) enough to accommodate the inflatable. We will not go up or down more than 2 (two) single stairs and we must be able to use our dolly to move the inflatable to its destination. If you are renting one of our larger inflatables we will need a double door or 42" width to move the inflatable through. Call ahead of time to find the size opening we need for your inflatable. Please make sure all post from double doors are removed prior to us arriving at your event. Some of our largest items can't be set up indoors for safety reasons. Yes, provided the driveway is flat enough. We prefer to setup inflatables on a grassy area when possible, because it is easier to safely secure the inflatable and generally safer. We will not setup inflatables on gravel driveways. For Safety you must order 4 sand bags per inflatable to secure the inflatable on Asphalt, concrete or when staking is not allowed. Rental times vary, and we can usually be flexible to meet your needs. The typical range is from 4 hours to all day (over-night). We will deliver and setup the inflatable at least 30 minutes prior to your start time (you don't pay for setup time). For parties at residential yards we will typically deliver the equipment the day before your event and pick up the day after your event. I We will not pick up inflatables after 8:30pm unless agreed upon. We need a minimum 90 minute window for set-up. You do not need to be home when we pick the inflatables up. USA Inflatables may deliver the units anytime prior to the start of your scheduled event and pick them up anytime after your scheduled event end time unless otherwise noted. What if I won't be home when the inflatable is delivered? Please leave a note on the door where you would like the inflatable to be placed, also please make sure your have electronically signed the contract.. An additional fee will be charged for us to come back to move the inflatable. Can you provide an operator for our inflatables? Yes, we can fully run your entire event; we will provide staffing for all the inflatables or games at your event. Staffing is $28.50 per hour per attendant with a 4 hour minimum. How close do you need to get to the event site? For most residential deliveries we will park on the driveway or street and use a dolly to move the inflatable to your desired setup spot upto 100' from the delivery location.. With our large Items (Titanic, Rock climb, some obstacles courses) we must be able to drive delivery vans on grass. Many games are simply too heavy to carry with a dolly and require a vehicle with a trailer to move the attraction to desired location. Extra outdoor Power outlets are helpful. 20 amp circuits are required. If required, USA Inflatables will supply generators at additional costs. USA Inflatables will only drive on grass in extreme circumstances for certain inflatables. an additional fee will be charged if we need to transport the units over 100' from the drop off location to the set up location, have to use stairs, or elevators or deliveries in downtown Minneapolis or St Paul where parking is tough and hotels where we have additional doors and long hallways to go through to the set up location. What happens if we spill on the units? Customer must provide trash cans near the inflatables. On asphalt this is a huge problem for our clean up crews. What happens is a kid places a can of soda on the ground at the base of the inflatable, Then accidentally, some one else immediately kicks it over spilling underneath the inflatable. Of course lots of sticky clean up is required underneath the inflatable before it can be rolled up and put back in the delivery vans. If a can of soda has been brought inside an inflatable such a moonwalk, obstacle course, Joust, or other similar games, and it spills and is not cleaned up immediately by the customer, customer will be charged a $150 cleaning fee. This also applies to vomit, urine, silly string, or face paint! NO - TAPE No duct tape, masking tape, or tape of any kind allowed on inflatables! If game signs and ticket signs are needed ( USA Inflatables does not supply these signs) they must he placed on a chair, table, box, or on a board hammered into the ground NOT ON THE INFLATABLE. Customer will be charged a cleaning fee of $150 per game if tape has been used. : Yes. 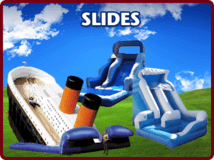 USA Inflatables carries a Liability policy; however USA Inflatables will not be responsible for any acts of negligence on the part of the customer, their representatives or guests. We require that you monitor and provide your own attendant for the Inflatable at all times. USA Inflatables offers staffing at $27.00 per hour. We are fully insured and are regularly asked to additionally insure parks, churches or businesses. The fee for an additionally insured certificate is $75.00 per certificate we need at least 3 days notice prior to the event to provide the group with a certificate. Should I Tip USA Inflatables Employees? Tipping is very much appreciated although not required. The TEAM at USA Inflatables works hard to make sure everything is ready for your event and delivered on time and in excellent shape. For your convenience when booking online you can select to add a tip right on your invoice (5% is the most common) or when calling to place an order let the customer service rep know and they can add the Tip to your invoice. By tipping on the invoice it allows all those involved even those behind the scenes to see part of the tip not just the delivery and set up crews. You will have up to 24 hours after the completion of your event to call and change your tip. Make your next event memorable: Call 763-506-0400 today!